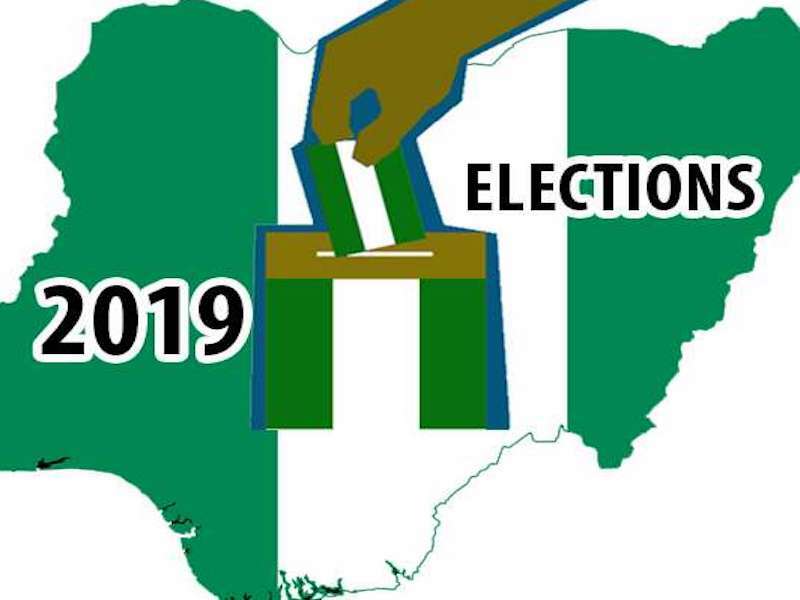 Hopefully, elections for the Presidential/National Assembly seats and the Governorship/State Houses of Assembly alongside the FCT Area Council positions will hold correspondingly on Saturday, February 23 and March 9, 2019. These elections were rescheduled after the failed February 16 elections due to challenges of logistics and operational plan as announced by the Nigerian electoral umpire, INEC. Election is a process that brings out the dynamism of democratic societies, and more importantly makes the people reflect on the stewardship that is desirable to attain a system that guarantees the sustenance of their society. To drive home the import of election electorates have persuasively being asked by various authorities and respected individuals to ensure the exercise of their franchise as a civic responsibility. This is because the participation of the people also gives credence and legitimacy to the tenure of state leadership. George Will says, “Voters don’t decide issues; they decide who will decide issues.” He is right, but in elections, voters conferred power on persons, a process through which the elected derive authority not only to decide but to take actions on issues relating to the people. We all cannot be the president or lawmakers at the same time but we can choose in trust persons that will formulate and implement actions on our behalf. Election is therefore a sacred duty for all eligible citizens, a national call for patriotism and love for one’s country; and, the best way to express this is to ensure participation and adherence to all the electoral processes. Election is sacrosanct because its processes advocate the commitment of all and sundry, healthy contests, mutual respect and free choice to express support for a political ideology and suggested programmes of action within a tenure. What is also paramount in any processes of elections is the conduct of the people, because the conduct of the generality of the people gives acceptability to elections and defines the place of their country in the schemes of regional, continental and international relationships or affairs. The conduct could be in the manner one expresses his/her endorsement or rejection of a candidate/political party; the way and manner of celebration for victory at the polls; and the way and manner of expressing grievances after the polls. As social beings, we must be orderly and dignified in our conduct even when we say “Yes” or when we say “No.” These for me are the ideals that define advanced democracy from the underdeveloped ones. We need to avoid the things pulling us down from the place of glory: rumor mongering and spread of false or fake news, political assassination, biased opinions and views on common or national issues, mutual suspicion, unconstructive and inflammatory comments and statements, mudslinging and character assassination, vote-selling/buying, ballot box snatching and other uncivil and criminal actions that can disrupt a peaceful process. So, election as important as it is must be peaceful for its processes to bequeath noticeable results and beneficial gains; and the challenge lies on the conduct of all stakeholders – organizations and individuals. INEC failed to conduct elections last Saturday but has given its word of honour. In the spirit of mutual trust, it deserves the cooperation and the support of both the politicians and the electorates for them to deliver. Imperfection is human; also, in the spirit of tolerance, INEC must not be taken to the slaughter slab. The onus of a level playing ground to all parties lies with the police and other security organisations involved in the elections, they should be able to exhibit high sense of professionalism to enforce peaceful atmosphere. Good conduct from them I believe will elicit good conduct from the masses. There is a huge demand on the media; much is expected from them. The media wield such power that their reportage can make or mar the system. The best the Nigerian media can do now is to be conflict-sensitive in the contents of their publications. The media fought for our sovereignty, and also recovered government for the people. They must secure the country by being sensitive as they cover activities of the elections. At the end of the elections, winners and losers will definitely emerge. The winners must be good ones able to extend olive branches in the spirit of unity. The losers must also be good ones by expressing congratulations and pledge for support. If there are aggrieved parties and individuals after the elections, dialogue and the road to the court are the responsible options rather than taking the laws into their hands. The fruits of violence are anarchy, instability, destruction of lives and property.Violence is not part of peaceful elections, let us avoid it.